So this political movement towards a CSP supergrid is a very significant development, and, I think, a positive one. 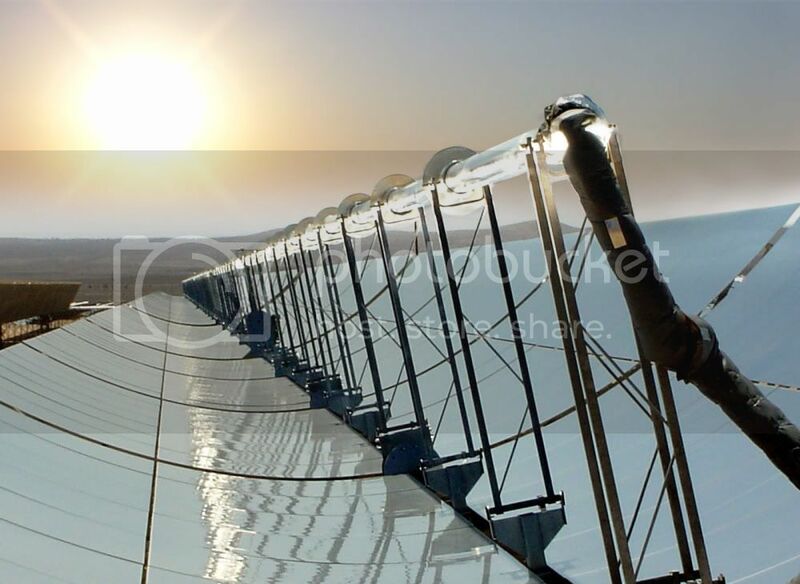 We have seen that CSP has the wonderful property of scalability, missing in so many proposed solutions to our energy crises, and that it is refreshingly low-tech, with the CSP plants built from only steel and glass. It is also noteworthy that the main ‘waste product’ of the process is desalinated water (especially refreshing in deserts). 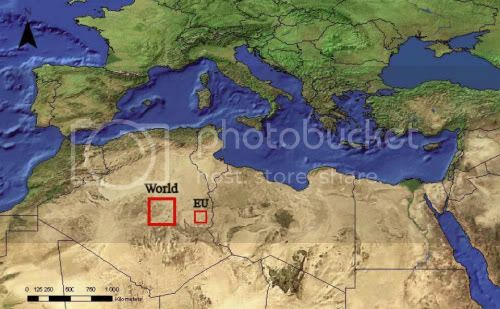 The costs of putting the infrastructure in place for an EU-MENA supergrid would clearly be significant, but I believe not insurmountable. But let us remember our new motto about silver bullets – is this really the sole solution to all the world’s energy and climate problems? The first practical point is that, like nuclear power, CSP only generates electricity. Peak oil is primarily a liquid fuels problem, although it is certainly true to say that a virtually unlimited supply of cheap electricity would be a great boon. For example, it could potentially free up much demand for our remaining liquid fossil fuels by making hydrogen fuel cells and direct electric cars much more feasible competitors to the internal combustion engine. I also have a few unresolved questions about the issue of sandstorms, the possible effects of huge-scale CSP plants on local climate, the problems implicit in removing vast quantities of salt from sea water and the actual costs of the scheme, but Polly and I plan to meet again soon, and I have some confidence that these points have likely been considered and addressed. But there is a more fundamental concern. While climate change and peak oil are the greatest direct threats facing humanity at this time, they are really only symptoms of our deeper problem – humanity’s obsession with growth. Although other environmental concerns seem to have been almost forgotten in the (justified) furore over climate change, issues like species extinction, air pollution and food shortages have neither improved nor gone away. If we could wave a wand and wish away the excess CO2 in our atmosphere and generate unlimited oil we would still quickly find our unsustainable way of life pressing up against the next environmental limit. The fear must be that the reason politicians appear keen to embrace this progressive solution (unlike so many others) is that they see in it a way to maintain the status quo a little longer. If they are allowed to follow this approach they will have done us no favours at all. CSP should be supported and encouraged, as it could be a great boon in helping us with our most urgent concerns and giving us a little more time to mend our ways, but it is no silver bullet. The point is that what is required is not a change in our way of life, but a transformation. This may seem a subtle distinction, but change is by its nature predicated on what came before. Adding a cheap, clean and abundant new electricity source to our society would be a step forward, but not a leap in a new direction. Transformation represents that leap to a new paradigm. The nature of this necessary paradigm shift is an issue I will return to in future posts. This really is such a good resource that you are providing and you also provides it away totally free. I like to see web sites that understand the value of providing a perfect resource for free. I really loved reading your article. Thanks! Sure Delphia – no problem.